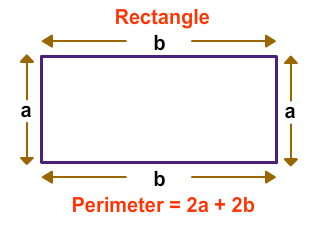 The perimeter is the distance around an object. It is calculated by adding together all the lengths of an object. 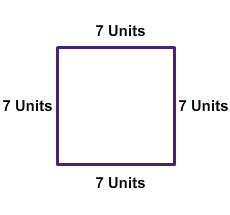 Find the perimeter of the given square. 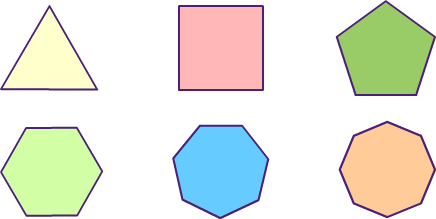 To find the perimeter of the polygon, you would just add the length of all sides together. 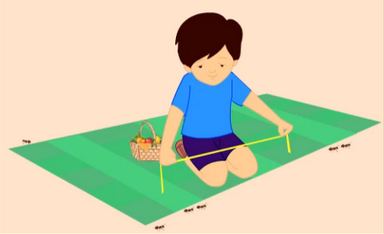 Ants are walking around your picnic mat as shown in the image given below. 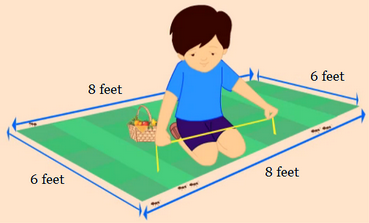 Measure the sides of the picnic mat and add them to find out how far the ants walked. The length and the width of the mat is 8 feet and 6 feet respectively. To find the perimeter, we need to add all the sides. So, the perimeter of the picnic mat is 28 feet. 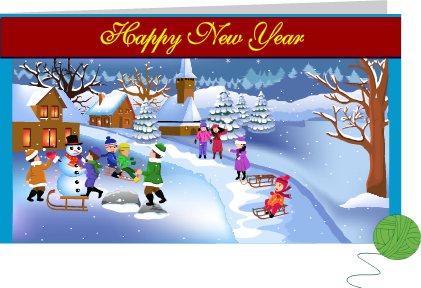 While making a card for your parents you want to put yarn around the card. Measure the sides to find out how much yarn is required. 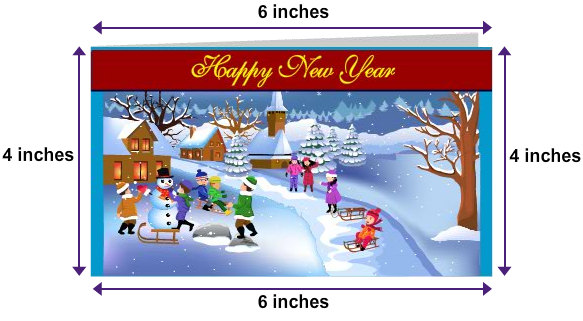 The length and the width of the card is 6 inches and 4 inches respectively. So, 20 inches of yarn is required for the card. 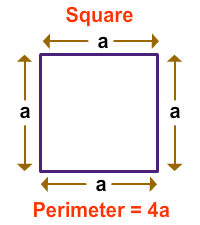 The perimeter of a square is 4a.